The Asiana Airlines Business Credit Card currently has an Informr score of 7.4 out of 10. This score is based on our evaluation of 2 sources including reviews from users and the web's most trusted critics. 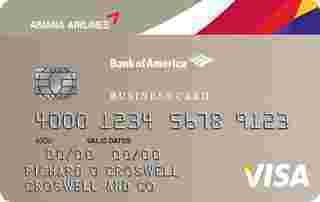 Asiana Airlines Business Credit Card is typically available to those with good credit scores (650 or greater). The Asiana Visa Business Card could be a good addition to a business that requires frequent travel to East Asia or Oceania, with benefits that extend to Star Alliance airlines, including United. Earn 10,000 bonus miles after your first purchase. On purchases from Asiana Airlines. Earn two annual $100 statement rebates on the ticket purchase of U.S. departure Asiana Airlines operated flights when using the Asiana Visa Business card. While the Asiana Visa Business Card is probably better than no business travel rewards credit card at all, it’s not the gold standard. If you frequently travel to Asia for business and personal reasons, you should consider pairing Asiana Visa Signature with a non-Asiana business card that offers better terms and benefits on long-haul business travel.